I’m really excited to introduce Riddhi Mahimkar as a guest blogger for BeyondBoredom. Trust me, it wasn’t easy getting her to write about her travels. She’s as lazy about documenting her journeys as she is passionate about travel. Unlike most of my other female classmates who are finding bliss in the arms of their new husbands, Riddhi quit her job to travel the world, or at least as far as she could afford. Now broke and unemployed she does odd jobs for a living (life of a vagabonder!). You should definitely look her up when in Mumbai for a pretty offbeat tour of the city. She also has quite the knack at finding the best deals and the cheapest ways to get around and agreed to share with us some of London’s inexpensive attractions ! London is brilliant. But it is expensive. Very very expensive. Also, considering I was an Indian tourist in Britain, every GBP I spent was more than INR100 deducted from my account. 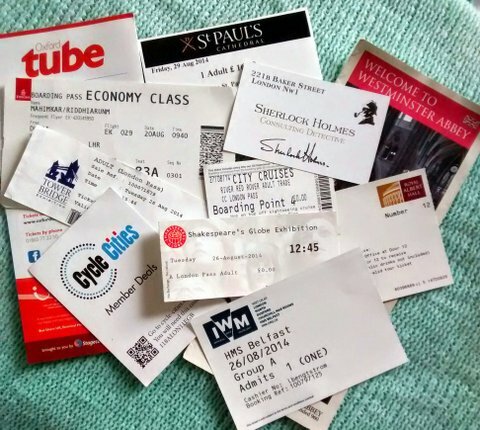 But I did a lot of scavenging over the internet and did come up with my own list of tourist hacks to see London on a budget. The best way to get yourself introduced to the city is through the Sandemans Free Tour. I did not take the one in London as I was staying in the city for quite a few days and did a lot of self exploration on my own. Also, I did the Bicycle Tour which was one of the to-do things with the London Pass (more about it on #2). But I swear by the Sandemans Free Tours with my experience of them in rest of Europe. It is the best and the most fun way to know the city. The guides are extremely knowledgeable, friendly and they do know their city inside out. All you have to do is be present at the said time and place as per the website and they will take care of you from there. And you may even meet new tourists like yourself on the tour. In case you traveling solo, isn’t this the best way to find some company for seeing the city? Read up more about them here. To anyone who wants to see the most of London in a few days, I recommend the London Pass. It is the most money and time saving pass you will be buying in London. They have an option of 1,2, 3, 6 and 10 day passes. I bought a 3 day Pass for ₤72 and boy, oh boy! It was worth every single penny. 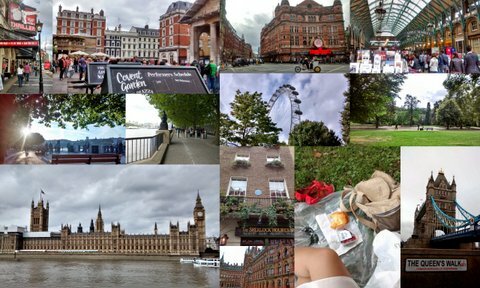 In 3 days, I visited tourist places worth 170GBP! The pass acts as your ticket and also gives you fast track access to more than 60 tourist attractions in the city. Well, it is impossible to visit them all in the given number of days and some aren’t worth it either. But with a little pre-planning, you can cover places such as The Tower of London, Westminster Abbey, Kensington Palace and more! It also includes a Thames River Cruise (don’t miss it!) and the London Bicycle Tour. Plan your days and make the most of this Pass. One of the options is also buying the Pass with the Oyster Card so that even your travel in taken care of for those many days. So we are talking unlimited travel in tubes, buses and overground trains + sightseeing! Sounds like a great deal, aye? Other than the paid tourist attractions, there are quite a few ones which are free to go to. 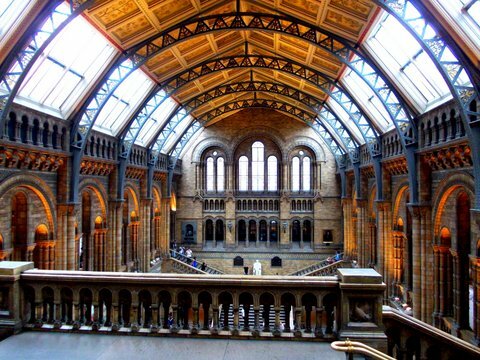 I would recommend the Natural History Museum (It has a marvelous architecture. Gives you a feel of being in Hogwarts. ), Victoria & Albert Museum (It is truly the world’s greatest museum of art and design), the British Museum and the Imperial War Museum. 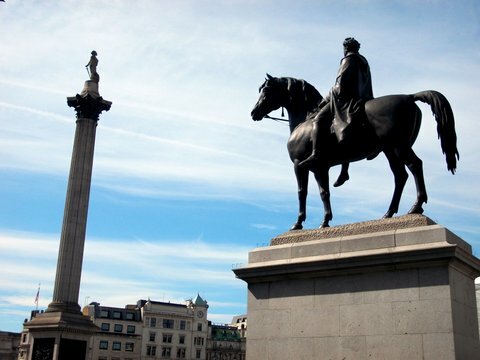 The Trafalgar Square which was once the King’s Mews, is now one of the must visit tourist spots. 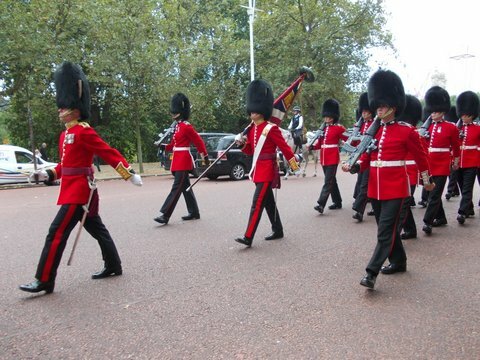 Take a walk down the road and see the Palace Guards at the Buckingham Palace. I wouldn’t recommend waiting for hours in the crowd just to see the changing of the guards ceremony. And who doesn’t love to just laze around! 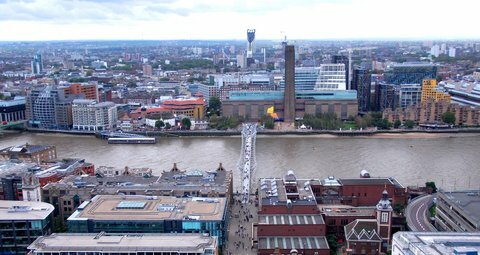 In case museums do not fascinate you much, you could always take a walk down the South Bank of River Thames, sit on one of the benches and marvel at the Tower Bridge while sipping on some hot chocolate on a cold rainy day or some beer on a sunny day if you’re lucky. Pack your picnic basket and spend a lazy afternoon at Hyde Park. Take a delightful walk around West End and Covent Garden, shop at Primark, see the famous Kings Cross station, take a picture at Platform 9 3/4 and meet Mr.Holmes at 221 Baker Street. One thing that everyone visits when is London is the London Eye. Well, you know what? I don’t recommend it. It is way too crowded, expensive and lasts just 30 minutes. 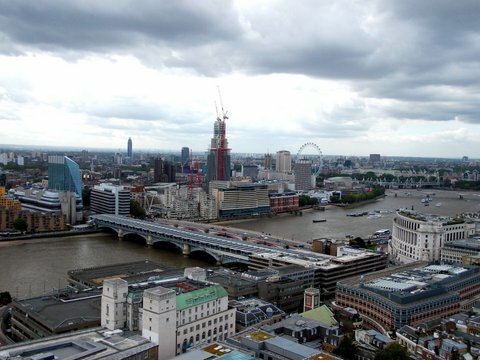 Instead, if you want to see London from a height, I recommend buying a ₤15 ticket to St. Paul’s Cathedral. 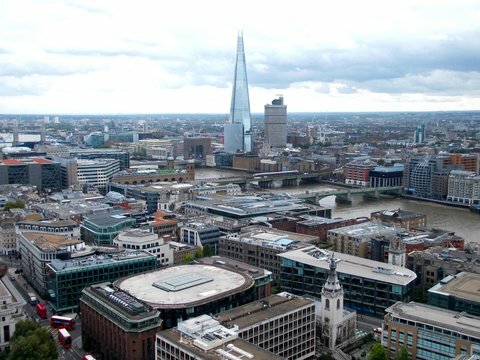 You get to see the Cathedral’s awe-inspiring interior and a visit to the world famous dome from where you can get a magnificent view of London city. Cheaper, better and less crowded than the London Eye. London transportation is expensive. A single once way tube ticket can cost as much as ₤2.5 on a tube. The most economical way to travel is to buy the Oyster Card and top it up with a 7 Days, Monthly or longer period travel cards. I bought the 7 days travel card and used it to the fullest. With this top up, I could travel unlimited for 7 consecutive days on the Tube, Overground and the Buses. It was great for me as I lived in the suburbs so I used the Tube everyday and then the buses within the city. Thanks for the kind introduction. You know me too well… I hope to document more of such travels! Thanks for dropping by. London does look beautiful.